What did you like about the book? 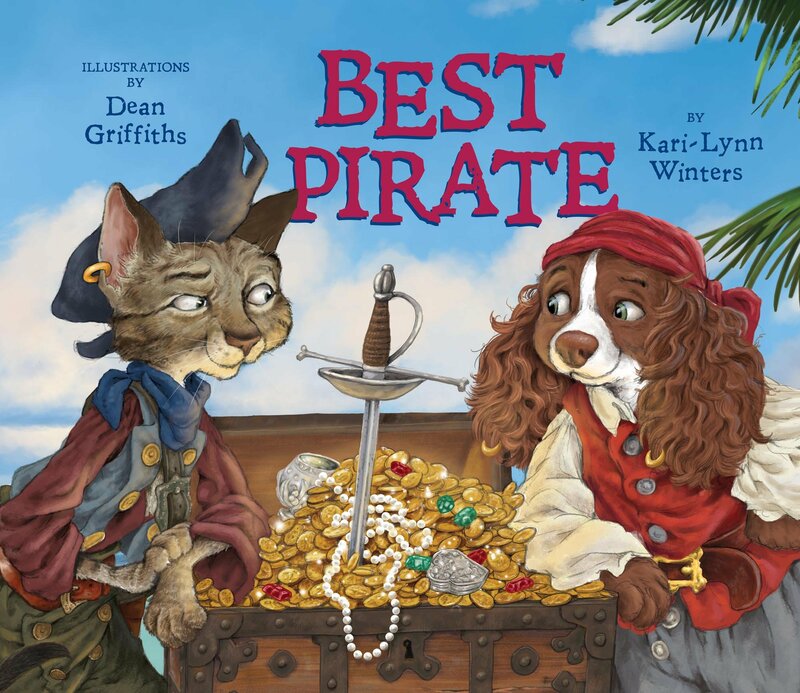 The pirate dogs and the pirate cats are each determined to be the first to find the treasure. Little Augusta the dog is determined to impress her pirate captain father by finding the booty first so off she goes alone to the island. Unfortunately one of the Tuna Lubbers (cat pirates), Scuppers, arrives at the same time. When the two fall into a pit, they discover the treasure, but the pit is very deep and there is no way out! The illustrations are fabulous, full of color, realistic, expressive – and cute. This entry was posted in Book Review and tagged Pajama Press. Bookmark the permalink.